This includes photo sessions for maternity, newborn, babies, children, couples (does not include weddings) & families (for personal use only). This price is good for one family which includes two adults and their children. Any additional persons may incur extra fees of $25 per person. Session fees include travel to your location within the Greater Montreal Area. Any location outside Montreal may be subject to an additional travel fee. The session can last between 1-2 hours. Proofs will be posted between 2-3 weeks of the session. Around 75-100 images will be presented as proofs using a private password protected proofing website. Session fees do NOT include any images; on USB key or otherwise. To obtain images, you have 4 digital packages to choose from. By signing the contract at the time of the session, the client commits to purchasing a digital package. You will get a link to a password protected download site of the full resolution jpegs that you can share with family anywhere in the world, the site will be active for at least 30 days. JPEGS for printing in 300 DPI. Each image will be given to you in colour, black and white, and sepia. These files are large enough for poster printing. JPEGS for web in 72 DPI. Each image will be given to you in colour, black and white, and sepia. These files are smaller in size for sending in emails but are not suited for printing. USB Keys are sent by the mail, hand delivered, or picked up by the client. If any retouching is required, the client must specifically ask for it. Fees start at $50 per hour, with a minimum of 1 hour charged. Some minor simple blemishes may be included in your digital package if retouching is quick and easy. But if it more elaborate such a smoothing out wrinkles, taming fly-away or grey hairs, or fixing clothing, the hourly rate will apply. Please contact me for event pricing. Session fees start at $250. Individual images are $35 each with license granted for publication online and in print media. If you have a project in mind, we can arrange a package price for your project, please contact me. My packaging reflects my respect for the environment and my love for planet earth. I don’t use big bags, fancy boxes, tissue paper and/or confetti. My goal is to have the carbon footprint for your photography session remain as small as possible and to keep things simple, recyclable or reusable. For this reason, your photos will be presented on a lovely 8GB USB key so that you can both reuse it in the future and have a souvenir of our time together. You will also receive your receipts and contact sheets in PDF format. Any location outside Montreal may be subject to an additional travel fee. The fee would be determined based on how far the location is and how long it would take to get there and back. Will be determined at the time of the booking. Any additional persons added to a photo session may incur extra fees of $25 per person. Any additional USB keys requested are $50 each. 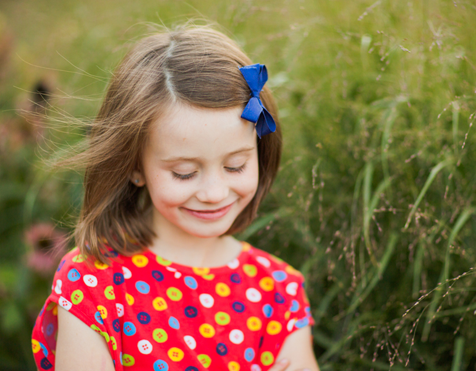 Any additional hours outside of the 2 hour portrait session may incur additional fees of $100 per hour. Events have different additional hour pricing. All prices are subject to provincial and federal sales taxes. Method of payment accepted is by cheque, INTERAC email, or cash (exact change please). All prices are subject to change without prior notice.